Fulfill your potential. Get the degree you want at a cost you can afford, so you can get the career and life you want. Classes are offered at the South Bend campus, the Elkhart Center and online. Work toward your undergraduate or graduate degree and limit the time spent commuting to campus by supplementing your schedule with online courses. IU South Bend’s Center for Online Education provides the opportunity to take a variety of classes online. 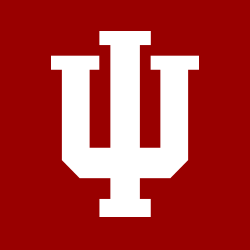 This broadens your scope of educational resources and allows you to take classes that may be available from other Indiana University campuses - while still remaining an IU South Bend student and staying close to home. Student success is of the utmost importance at IU South Bend. We truly care about supporting our students as they pursue their dream of earning a college degree. This is why we established the IU South Bend Academic Centers for Excellence (ACE) and the Titan Success Center (TSC). ACE provides students the opportunity to develop skills and strategies necessary for academic success in a safe and inclusive environment including math tutoring and the writing center. TSC provides help with academic advising, course registration, schedule changes, and strategies on being successful in college.